Yes, MusicTrans price has been dropped, both Android and Desktop versions!! 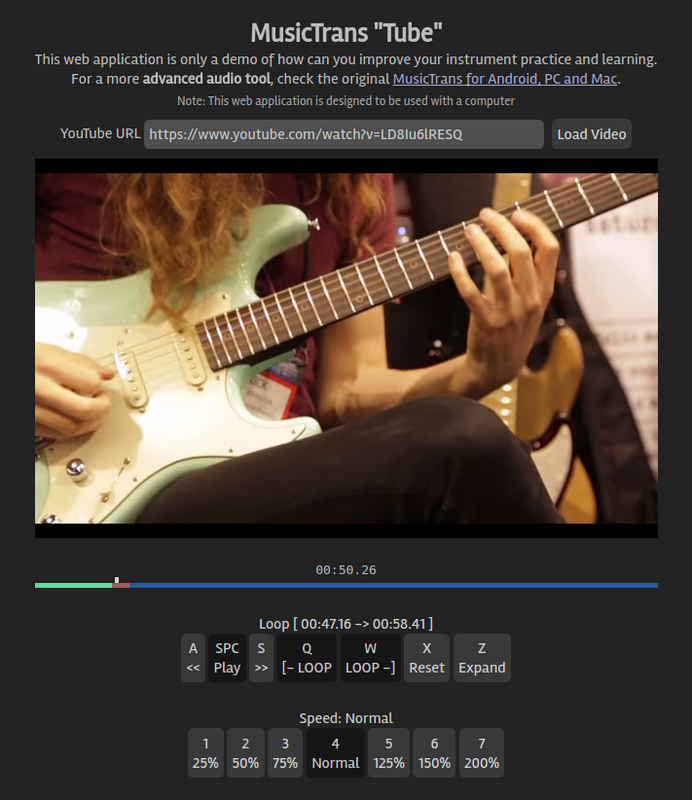 As a musician I’ve enjoyed MusicTrans a lot, and I’m sure that is an amazing tool for anyone interested in playing music, so a few weeks ago I dropped the price for the Android version. I did it quietly to see what would happen, and the response has been great! And there is more news! The installers for Mac OS X and Windows have been improved, and you don’t need to install Java, the installer includes everything you need to run MusicTrans. Last but not least, some people running MusicTrans for Windows had a strange bug that made it freeze when trying to open a song. That bug has been fixed in this new version (1.0.7). Remember that you always can contact me at fcatrin gmail dot com if you need help or want to give some feedback to improve MusicTrans. A new version of MusicTrans for Desktop has been released. Most notably in this version is a Preamp control. Sometimes when you filter out some frequencies with the equalizer, the overall signal level goes down. Of course you can move up all the sliders to recover some power but now you only have to move the Preamp level up. There is also a level indicator to give you a hint of how much you can push up before getting distortion. This version also includes some fixes for the Windows platform. Some users reported that the note analyzer was flickering, and sometimes the wave view too. Now the flicker should have gone on those views. There is still some issues on the sliders but they will be fixed in the next version. 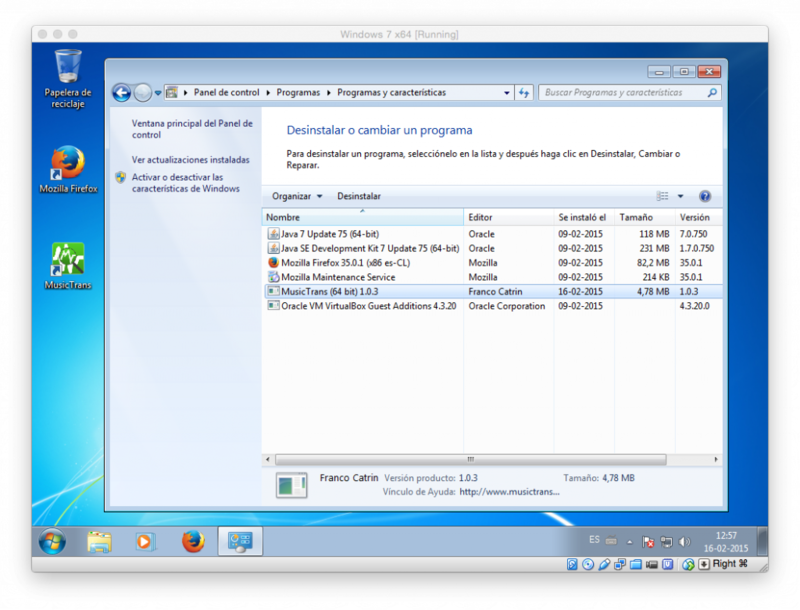 An installer has been released for Ubuntu and Debian based systems. 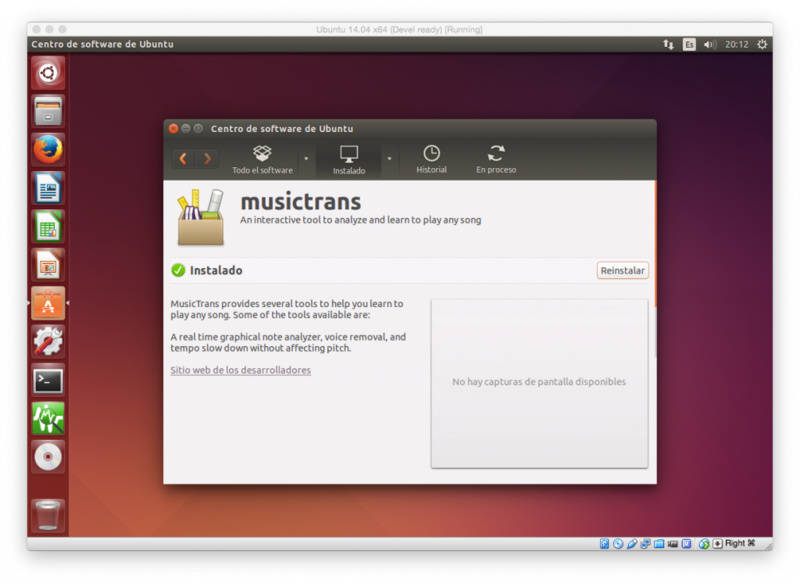 This installer makes easier to enjoy MusicTrans on these Linux distributions, adding a nice icon to use with your favorite launcher, and a convenient shortcut menu to open any MP3 file with MusicTrans from your desktop. And there is more! Because now that MusicTrans is a packaged application, your favorite Linux distribution will take care of installing the required Java Virtual Machine for you. Of course MusicTrans for Linux will continue to be available as a .tar.gz file to be used on any Linux distribution. 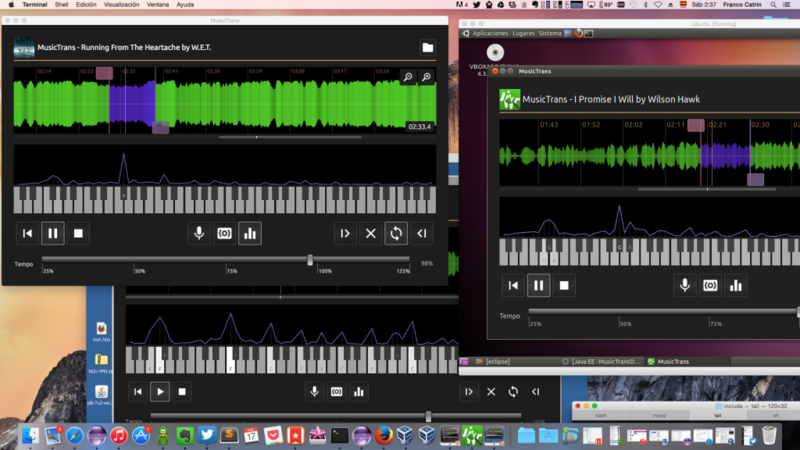 Moving beyond Android, MusicTrans has been ported to desktop operating systems. 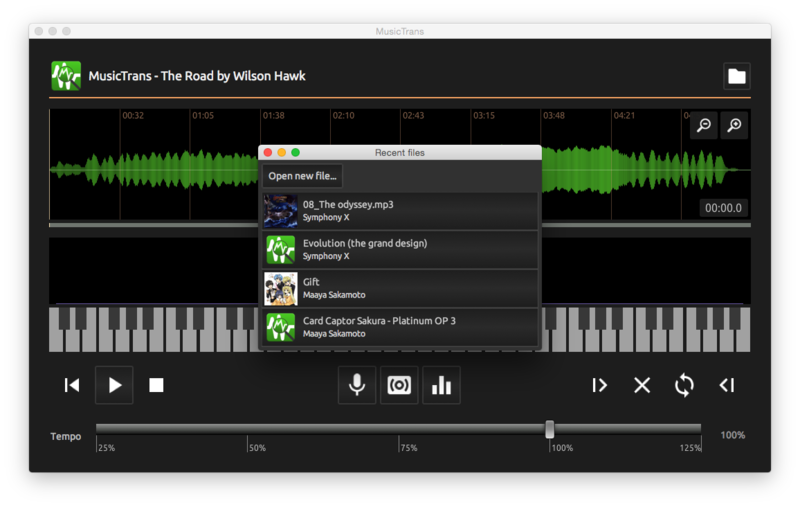 Now you can work on your favorite songs using your traditional desktop computer. This beta version has been released as a DEMO only, it will go to silence after 2 minutes of use just like the Android DEMO version. In the same way, once I got the backend enabled, you will be able to buy a license for it, this should happen in the next days/hours. You need a Java Virtual Machine to run MusicTrans. Ubuntu Linux includes openjdk which will be OK, but you have to do a manual install on the other operating systems. 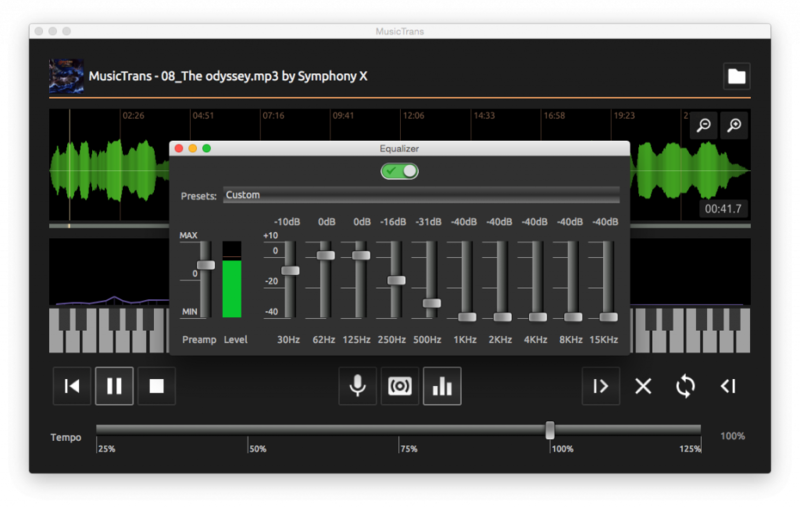 If you tried the MusicTrans demo and it crashed at launch this is important news for you. With the help from some users, we found that the memory allocated by MusicTrans at launch was too much for many devices (1GB of RAM). A new version that fixes this problem has been released a few minutes ago, so if MusicTrans just crashed on your device this new version may fix that. We also fixed a problem with the license checking routine. At first launch the license was handled as expected, but once the license data was saved to avoid excessive network traffic, the license check failed. So some valid users were restricted to 2 minutes of use, like if they were using the demo version. This is also been fixed now. The processors found on most Android devices are very limited in power in comparison with the processors found in desktop machines. The digital signal processing code in MusicTrans is very intensive, and it has been heavily optimized to run on this small processors. One of the techniques used to run this code faster is to pre-calculate as much data as possible, but this technique has the drawback of requiring more memory to store the results of this calculation. In the previous version (the one that most people have tried), the size of the pre-calculated data was “a little” relaxed, and unexpectedly they added up to 1GB of RAM. This situation was undetected on my test devices but some users reported the crash, and looking at the code traces I found that Android couldn’t load the digital signal processing code because of the amount of RAM required. I dropped some pre-calculated data on any code path where it didn’t made a major change, and then I ran some test to see exactly how much data where required to hold some parts where the real limits weren’t clear enough. After those changes, MusicTrans memory use dropped from 1GB to about 40MB of RAM with just a minor performance impact, so it shouldn’t crash on any devices because of memory use now. BTW: Did you notice that the APK is only 700KB? Think that there are simple apps like “flashlights” with APK of 6MB or more! !